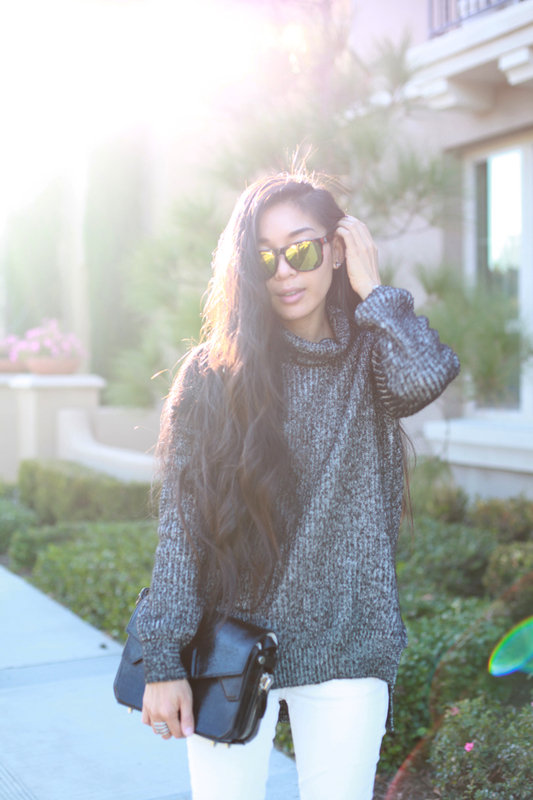 Zara sweater. Rich & Skinny jeans. Aldo x Preen heels. TOMS sunglasses. Alexander Wang bag. I can already tell that my favorite color this coming Spring is going to be a clean, slate white. White is just my breath of fresh air. Maybe this is a reflection of my current life state, in which I'm taking on new, slightly insane adventures and daunting challenges, without leaving anything behind, god help me. 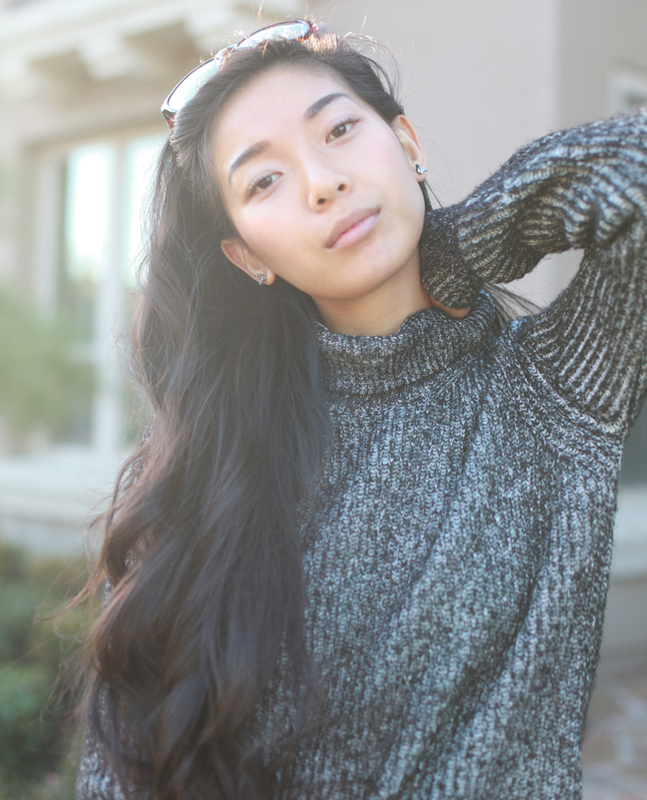 I may not actually be getting much of a clean slate, but at least I'll have my cozy turtleneck to curl up and hide in when things get a little crazy. What a gorgeous outfit! I agree with you on the color of white, such a refreshing look. Your sweater looks super cozy!! Nice, simple, refreshing look. 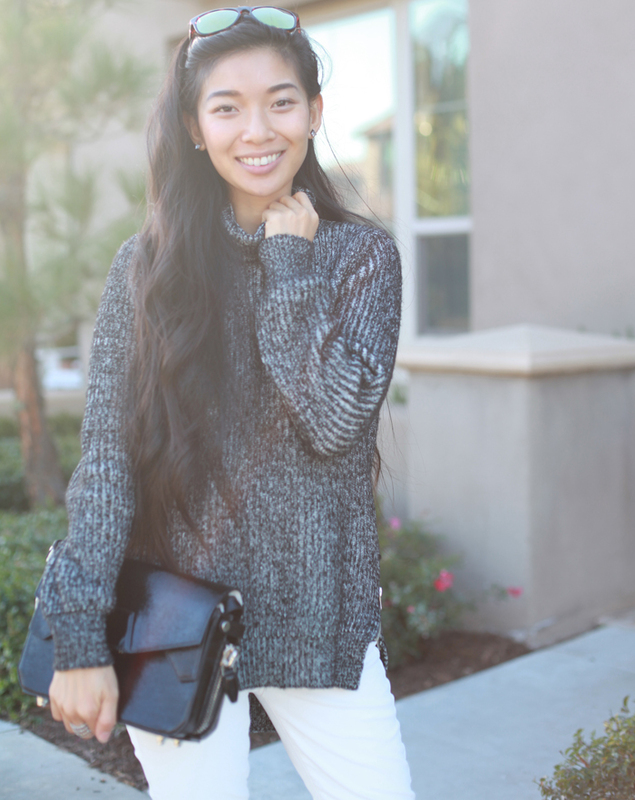 Love that sweater paired with the white. Love the sweater! This outfit is gorgeous!